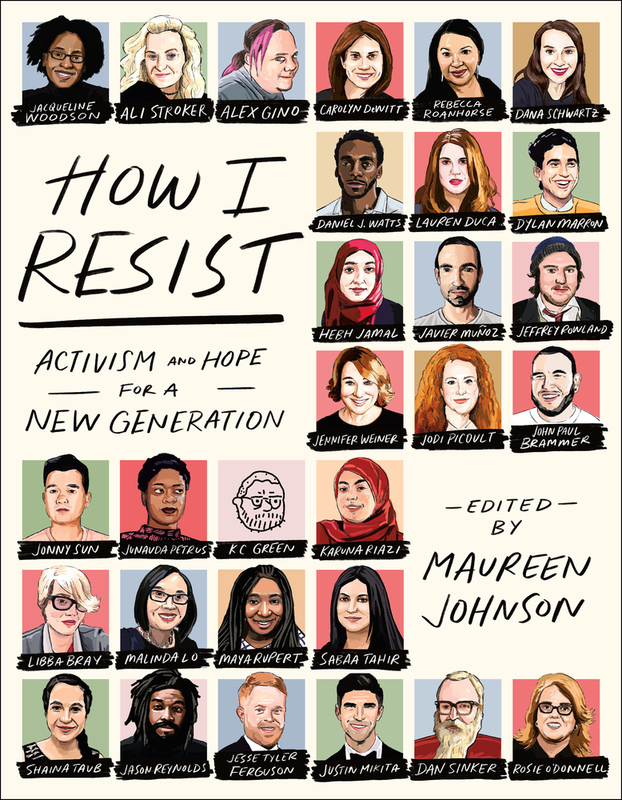 An all-star collection of essays about activism and hope, edited by bestselling YA author Maureen Johnson. Now, more than ever, young people are motivated to make a difference in a world they're bound to inherit. They're ready to stand up and be heard - but with much to shout about, where they do they begin? What can I do? How can I help? How I Resist is the response, and a way to start the conversation. To show readers that they are not helpless, and that anyone can be the change. 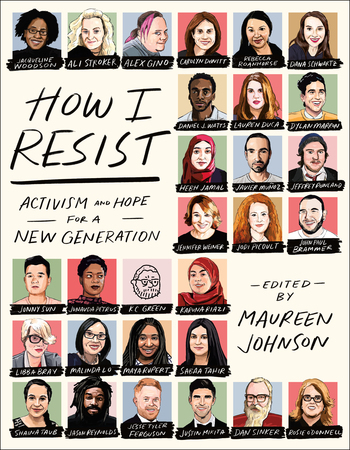 A collection of essays, songs, illustrations, and interviews about activism and hope, How I Resist features an all-star group of contributors, including, John Paul Brammer, Libba Bray, Lauren Duca, Modern Family's Jesse Tyler Ferguson and his husband Justin Mikita, Alex Gino, Hebh Jamal, Malinda Lo, Dylan Marron, Hamilton star Javier Muñoz, Rosie O'Donnell, Junauda Petrus, Jodi Picoult, Jason Reynolds, Karuna Riazi, Maya Rupert, Dana Schwartz, Dan Sinker, Ali Stroker, Jonny Sun (aka @jonnysun), Sabaa Tahir, Shaina Taub, Daniel Watts, Jennifer Weiner, Jacqueline Woodson, and more, all edited and compiled by New York Times bestselling author Maureen Johnson. How I Resist is the kind of book people will be discussing for years to come and a staple on bookshelves for generations. Maureen Johnson is the New York Times bestselling author of over a dozen YA novels, including 13 Little Blue Envelopes, The Name of the Star, and Truly Devious. She is also the co-host of Says Who, a political podcast about the aftermath of the 2016 election. She lives in New York City.